On my previous two trips to Tokyo, I flew on Delta and this meant flying in and out via Narita’s Terminal 1. The last time around only this February, we decided to take Philippine Airlines, which uses Terminal 2 along with most other Asian airlines. Here’s a few photos I was able to take at the terminal. Terminal 2 is also a huge terminal and serves as the hub for Japan Airlines (JAL). The many information boards provide up to date info on inbound and outbound flights out of Narita Terminal 2. 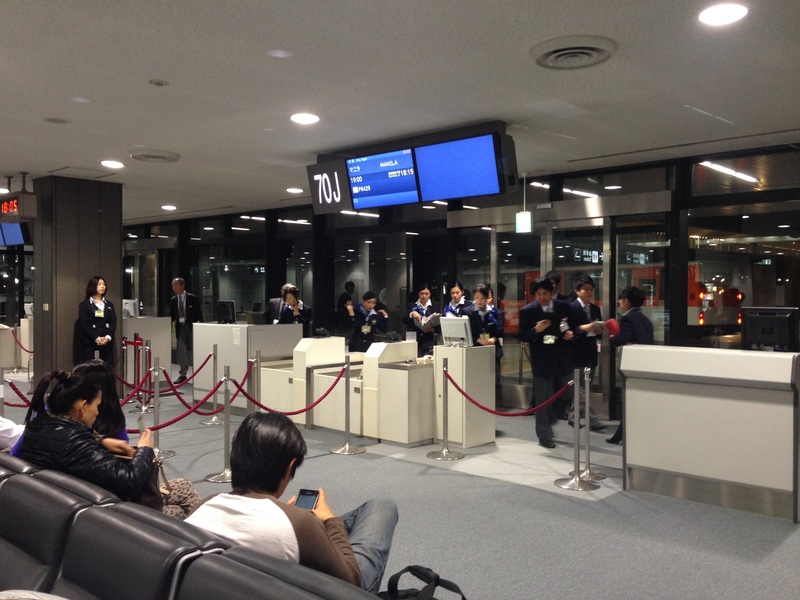 Many refer to the boards for info on which counters to go to for checking-in for flights. Another look at the spacious terminal. A passenger reading check-in counter information. The giant board provides updates on flights as passengers wait seated in the middle of the terminal. Behind the board are shops and restaurants for the convenience of passengers and well-wishers. Airport staff on a huddle for orientation and final instructions from their team leader before checking-in passengers for Philippine Airlines. Meanwhile, a politician and embassy staff assisting him wait patiently among other passengers. Info board on the various restaurants and cafes at Terminal 2. Display in front of one of the many restaurants at Terminal 2. These items on display are artificial but look good enough to eat. After going through immigration, passengers are greeted by more shops and cafes. Of course, there are always information boards to provide updates on flights. In many large airports, it is not uncommon for flight to change gates so passengers should always check if they are still boarding at the same gate provided to them upon check-in. Pre-departure area for our flight – our plane was actually parked somewhere in the wide tarmac of the airport and we were to be transported by bus from the terminal to our plane. 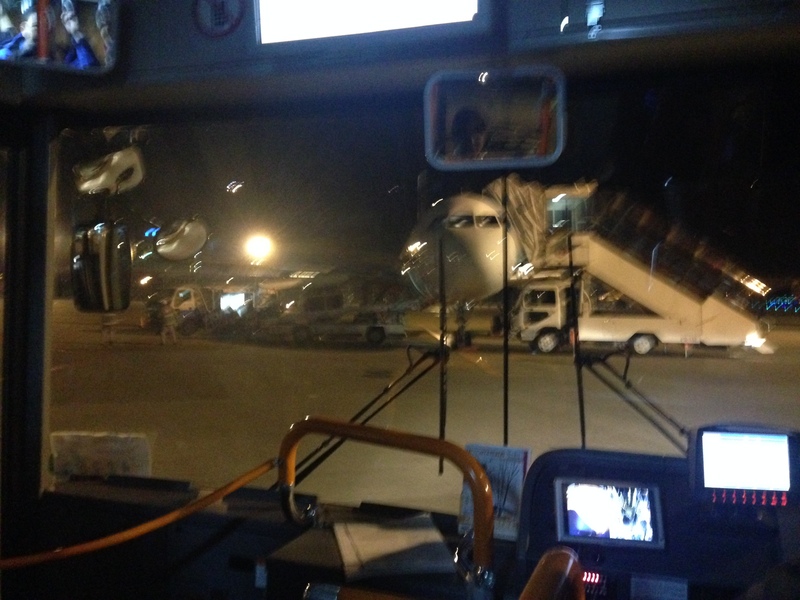 A bus transported us to our plane. This meant we would have to use the stairs to board the aircraft. By d0ctrine in Airports on March 10, 2014 .